I broke down and got an iPhone. To put it literally though, my old phone broke down, and the iPhone seemed most practical. I’m on the go, need to be connected and am a runner…I heard that the iPhone was top notch in this area…so I went for it. While I’m not a huge fan of dealing with new technology, I was excited for the increased capabilities during workouts…music without carrying an iPod AND phone? A built in GPS? I quickly began to see this as an opportunity to cut down on unneeded accessories while increasing my workout intensities…sweet! I started doing research on different GPS apps. I had a Garmin before, so I knew what I liked and what I didn’t. After a few days of searching, I realized the reviews for RunKeeper seemed to align with what I needed. 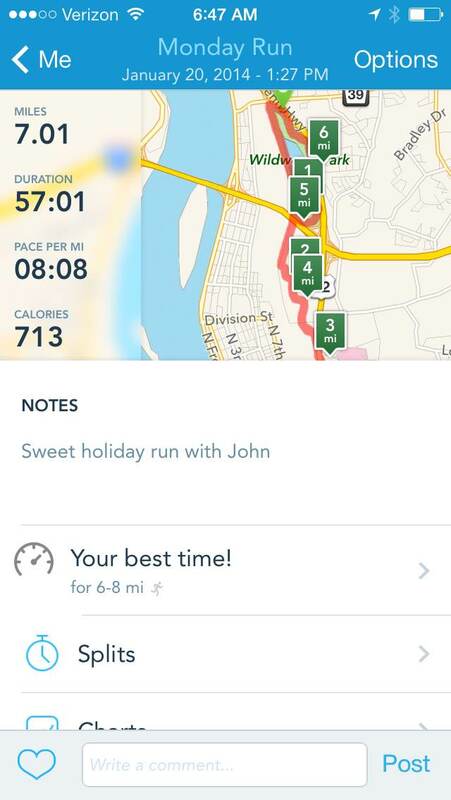 I downloaded it and took it out for an easy 7 miler with John. We both fell in love almost instantly. During the run, the device sent out pacing updates and total distance alerts every 5 minutes (I have since reset that because I don’t want that during long races, but, for the first time it was pretty great!). The voice was clear and easy to understand without breaking focus. At every point in the run we knew exactly where we were without having to read a small GPS watch face. Score. Even better? Our run was in a heavily wooded area. The signal was clear and we didn’t run into any problems or delays. Also a plus. and other information including calories burnt, elevation changes, notes that I saved and more. From there, I had the ability to share on social media sites like Facebook and Twitter, or to connect with other friends using the app. Simple. Clear. 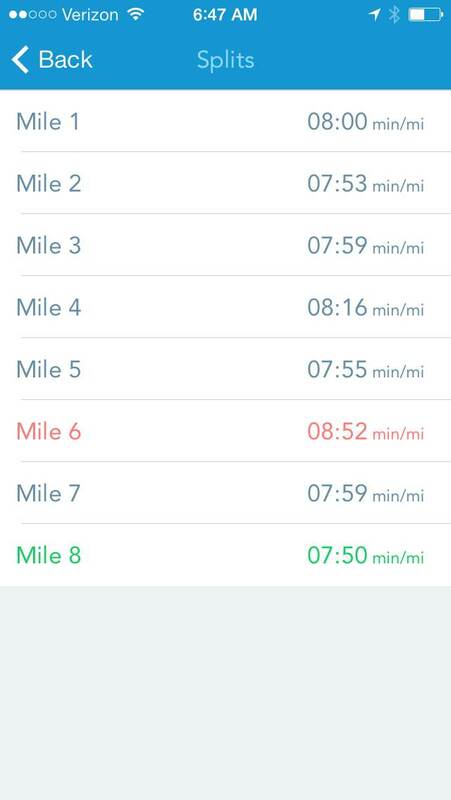 Easy to use…RunKeeper is my new favorite running app! Note: This endorsement is on my own, no company communication took place prior to this review. It is unsolicited and solely based on my own opinion! SECOND NOTE: I am entered into ZOOMA’s Run to Napa contest, which depends on your vote! The winning blogger AND a reader (could be you!) will win a trip to Napa for the ZOOMA Women’s Half Marathon in June. Right now, I’m in third place, and would appreciate daily votes through Feb 24! LINK!